Product as described. Not used on a wheelchair. 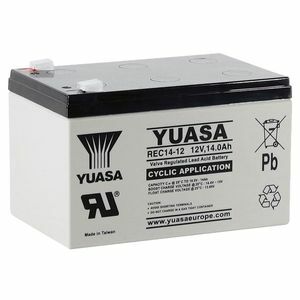 Replaced battery on old electric bike. Very quick delivery, good price and excellent performance. Thank you for such great service, would definitely recommend to others. Works great! Needed to drill holes in the connectors to make it fit the Twizy but that was easy enough. Arrived quickly, for a good price and it works well. It's just a battery folks, but these people offer a good service. Brilliant service from beginning to end. excellent service and delivery. quite happy. Fitted To: Wheelchair Go something! Excellent product and very speedy delivery even though it was during the new year period. Great advice given on the phone too. Fitted To: A Bradshaw bowling buggy.